The probe found Mr Barry's behaviour was "not in line with our valued behaviours, although it fell short of warranting his dismissal." Mr Barry "expressed his regret if any of his interactions with his colleagues caused upset or offence - that was never his intention," a memo sent to staff said. "He has also acknowledged that as a senior leader he must role-model the highest standards of behaviour." Mr Barry will now pursue other opportunities, the memo said. When Mr Barry was suspended, former FCA regulator Tracey McDermott became acting head of compliance at the bank. She will continue in that role, as well as being the bank's head of public policy and marketing. Standard Chartered chief executive Bill Winters has been trying to improve the bank's compliance image after a series of issues including breaking US sanctions and money-laundering regulations. 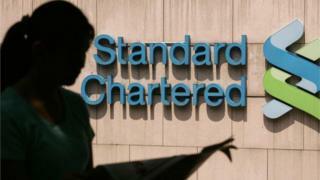 Barclays and Standard Chartered tie-up: Just a fairytale?